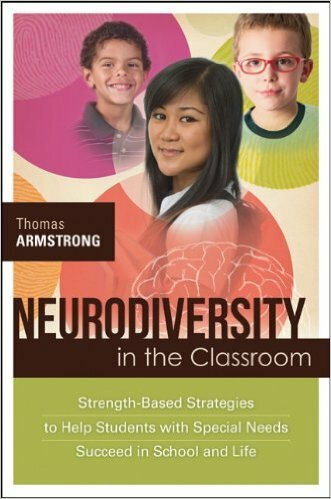 Special Education and Neurodiversity | Thomas Armstrong, Ph.D. The history of special education in the United States is a dramatic one. Without going into the whole legislative history, suffice it to say that during the 1970’s, due in large part to increasing scientific involvement in special needs issues as well as concerted parent advocacy efforts during the 1960’s and 1970’s, public schools underwent a sea change in providing services for kids with special needs. I was a child of that “wave” when I started working as a learning disability specialist in 1976. Since that time, research in genetics, the brain, human learning and related fields has increased exponentially, bringing in its wake an even greater awareness of the needs of children who have previously been unserved or underserved in special education programs. In the 1980’s and 1990’s, children diagnosed with attention deficit hyperactivity disorder and related problems such as oppositional defiant disorder and Tourette’s Syndrome were added to the list of those served. In the new millenium, it seems that children identified as having one or more of the autistic spectrum disorders have been increasingly identified and served in special education programs. Despite the fact that legislative loopholes, budget problems, and lack of public awareness still prevent many eligible students from receiving the services they deserve, still, one must stand back and marvel at the progress that has been made in special education since the 1950’s when only a handful of children with particularly strong needs were served in the schools, if they were served at all. As I look back on these developments in special education I experience mixed feelings. On the one hand, I see that it is far better for a child to have his or her specific learning needs identified and addressed in school than to languish unrecognized in a regular classroom or be excluded from school entirely. This, of course, is true of any child with or without a disability label. On the other hand, since the very beginning of my involvement in special education in the mid 1970’s, I have been strongly averse to the negativity inherent in the “disability discourse” that takes place routinely among teachers, administrators, parents, and mental health professionals while educating kids with special needs. I am speaking here of an institutionalized discourse consisting of specific words such as “disability” “disorder” “deficit” and “dysfunction” to describe the lives of these children. In many previous writings I have criticized special education for identifying certain children based on what they can’t do rather than on what they can do. It has always seemed obvious to me (but also borne out by research on the self-fulfilling prophecy, the halo effect, the placebo effect, and numerous other experimental artifacts) that expectations play a key role in special education, as they do in life. If a child is having problems in learning, then he or she needs to be surrounded by adults who see the best in them, not the worst. Yet I’ve observed time and again that the special education world seems trapped, despite its best efforts, by this disability discourse. Let me just say here as an aside that I’m well aware that most special education professionals are positive individuals who seek to bring out the best in their students. But I’m talking about educators who must work within a system that requires that they treat their students as disabled. As many a parent or teacher has pointed out to me: how are they going to get special services in the first place unless we get them labeled with a disorder? I have wrestled with this problem for years. I’ve spent a lot of time focused on the concept of multiple intelligences because I believe it has provided a positive framework for making sense of both the difficulties and the strengths of children with special needs. I’ve been fascinated by exploring the strengths of kids identified as LD and ADHD because it seems to me that most educational researchers are cataloging what they can’t do. And I’ve invited educators during my workshops and seminars to engage in research on the strengths, assets, abilities, and talents of kids with other labels including autism, Down syndrome, mood and anxiety disorders, and more. While I’ve been doing this, research has been coming out about newer disorders affecting larger groups of people. Harvard psychiatrist John Ratey, for example, has written about “shadow syndromes,” which are milder forms of psychiatric disorders that afflict far more people than are currently identified. Other researchers have suggested that half of all individuals will experience mental illness sometime during their lives. It seems to me that while I’ve been attempting to focus on the positives in the lives of children and adults with special needs, research and culture have been moving in the opposite direction, finding more and more things wrong with more and more people. It has gained currency in the autistic community, and is spreading beyond it to include individuals identified as having a broad range of emotional, behavioral, learning, developmental, and intellectual disabilities. Its basic premise is that atypical neurological wiring is part of the normal spectrum of human differences and is to be tolerated and respected like any other human difference such as race, gender, sexual preference, or cultural background. This new term has great appeal because it includes both the difficulties that neurodiverse people face (including the lack of toleration by others), as well as the positive dimensions of their lives, something that is generally missing in the disability discourse except in a token way. The use of the term neurodiversity is not an attempt to whitewash the suffering undergone by neurodiverse people, nor to romanticize what many still consider terrible afflictions (see Peter Kramer’s attack on so-called romanticizers of depression). Rather, its use seeks to acknowledge the richness and complexity of human nature, and specifically, of the human brain. The more we study the brain, the more we understand that it functions, not like a computer, but more like a rainforest (see Gerald Edelman’s work in this regard). The “brainforest,” in fact, may serve as an excellent metaphor to use in the neurodiversity field to talk about how the brain responds to trauma by redirecting neurological pathways, and how genetic “flaws” may bring with them advantages as well disadvantages. Disorders such as autism, ADHD, bipolar depression, schizophrenia, and dyslexia have been in the gene pool for a long time. There must be a reason why they’re still there. The work of evolutionary psychobiologists and evolutionary psychologists represent a key component in exploring this fascinating question. The implications for special education are enormous. Instead of wallowing in the current “disability discourse,” both regular and special educators have an opportunity to step “out of the box” and embrace an entirely new trend in thinking about human diversity. Rather than putting kids into separate disability categories and using outmoded tools and language to work with these students, a perspective based on neurodiversity invites educators to utilize tools and language from the ecology movement as a key to helping kids succeed in the classroom. If we apply the same kind of diversity model to children as we do to the flora of the world, then we should be in much better shape than we are now. Consider the issue of inclusion in education. Regular classroom teachers are far more likely to want a “rare and beautiful flower” or “an interesting and strange orchid” included in their classroom than a “broken” or “damaged” child. The use of ecological metaphors suggests an approach to teaching as well. Individual species of flowers have specific environmental needs regarding sun, water, soil conditions, and so forth. Similarly, neurodiverse children will be seen as having their own differing ecological thriving factors, and it will be a key role for a neurodiversity specialist to understand each child’s unique needs for optimal growth. The goal will not be to try and “cure” “fix” “repair” “remediate” or even “ameliorate” a child’s “disability.” In this old model, such kids are made either to approximate the norm (especially for national accountability tests), or helped to cope with their disabilities as best they can (the phrase “she can learn to have a successful and productive life despite her disability” comes to mind here). In the new model, there is no norm. Rather, the neurodiversity-based educator will have a deep respect for each child’s differences and seek ways to bring together an optimal joining of nature and nurture, finding the best ecological niche for each child where his assets are maximized and his debits are minimized. This, of course, represents an enormous challenge for public schools, since they are not known for their flexibility in creating a variety of learning eco-systems. Hopefully, schools will be forced to change by the sheer variety and force of their student population’s neurological organization. 1 For a brief history of special education in the United States, see History of Special Education, Information Center on Disabilities and Gifted Education, Council of Exceptional Children, http://ericec.org/faq/spedhist.html. 2 See for example, my books Multiple Intelligences in the Classroom, 7 Kinds of Smart, You’re Smarter Than You Think, In Their Own Way, and The Multiple Intelligences of Reading and Writing at http://www.thomasarmstrong.com/books_videos.htm. 3 See, for example, my books The Myth of the A.D. D. Child and ADD/ADHD Alternatives in the Classroom at the above URL, as well as several articles I’ve written on labeling, ADHD, and related topics, that are available at http://www.thomasarmstrong.com/articles.htm. 4 See, for example, John J. Ratey’s article, “Shadow Syndromes: People with Mild Forms of Serious Disorders,” http://www.addresources.org/article_shadow_syndromes_ratey.php. 5 See, for example, Alex Barnum, “Mental Illness Will Hit Half in U.S. Study Says,” San Francisco Chronicle, June 7, 2005. http://www.sfgate.com/cgi-bin/article.cgi?file=/c/a/2005/06/07/MNGB3D4N3K1.DTL. 6 See, Judy Singer,”Odd People In: The Birth of an Autistic Self Advocacy Movement.” A thesis presented to the Faculty of Humanities and Socials Sciences, University of Technology Sydney (UTS) 1998 towards the Degree of BA (Hons). For information about her work, go to her website at: http://www.aspar.klattu.com.au/aspjs.htm. 7 See the website Neurodiversity.com: Honoring the Variety of Human Writing (www.neurodiversity.com) for a rich collection of materials. 8 For Norman Geschwind’s work, see “Is Being Left Behind Right?” in the Sunday Observer, August 19, 2001; http://64.233.161.104/search?q=cache:C6uJUMv7HnoJ:origin.sundayobserver.lk/2001/08/19/fea13.html+Geschwind,+left-handed,+dyslexic,+spatial&hl=en. For Simon Baron-Cohen’s research, see “The Male Condition,” New York Times, August 8, 2005 (http://www.nytimes.com/2005/08/08/opinion/08baron-cohen.html?). For a list of Oliver Sacks’ work, go to his website at: www.oliversacks.com. 9 See for example, Sally and Bennett Shaywitz’s work on the continuum of reading disability in B.A. Shaywitz, J.M. Fletcher, and S. E. Shaywitz, “Defining and classifying learning disabilities and attention-deficit/hyperactivity disorder,” in Journal of Child Neurology, Jan. 10, 1995, Suppl1:S50-7. Abstract available at: http://www.ncbi.nlm.nih.gov/entrez/query.fcgi?cmd=Retrieve&db=PubMed&list_uids=7751555&dopt=Abstract. 10 See Peter Kramer’s interview in U.S. News and World Report, “Myths of the Blues: Why It’s a Bad Idea to Romanticize Depression.” http://www.lcmedia.com/usnews5-05.htm. 11 See Gerald Edelman, Bright Air, Brilliant Fire, New York: Basic Books, 1993. 12 Which flower would be the “norm” in the plant world? The rose? 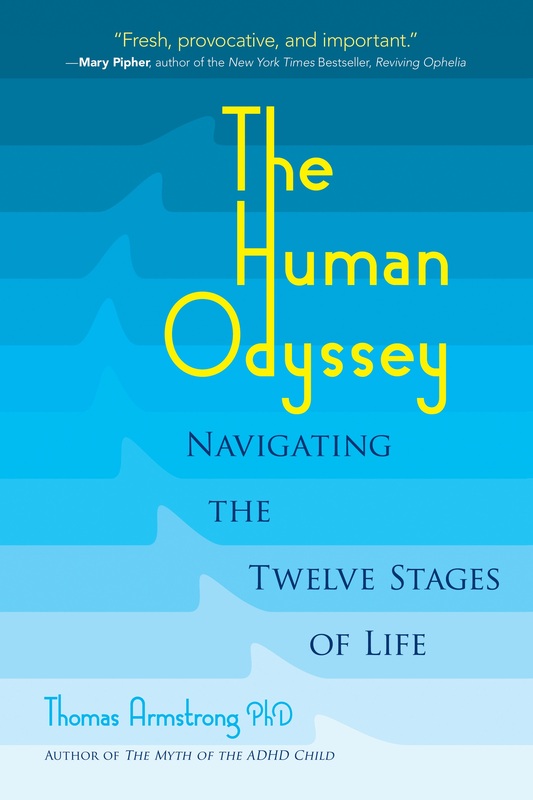 This dimension of neurodiversity, of course, is bound to be the most controversial, since culture defines itself, according to former American Psychological Association president Nicholas Hobbs, by the categories of deviance it gives to its children, and cultures, especially during conservative times such as ours, are notoriously resistant in changing their outlook on such matters. 13 “Accommodation” is the word used in the disability discourse for this environmental “shape-shifting,” and for many teachers it simply means such things as writing down homework instructions, sitting the child near the teacher’s desk, and instituting a behavior modification program. 14 The positive psychology movement suggests that psychological research has focused too much attention in the past on pathology and not enough on what is healthy in human populations. It has been spearheaded by former American Psychological Association president Martin Seligman. For a brief summary, see Shane Lopez, “The Emergence of Positive Psychology,” http://www.apa.org/apags/profdev/pospsyc.html. For more information about neurodiversity, see my books: The Power of Neurodiversity: Unleashing the Advantages of Your Differently Wired Brain and Neurodiversity in the Classroom: Strategies to Help Students with Special Needs Succeed in School and Life. I’m reminded of a conversation I had with a parent of a student experiencing autism who was getting ready to transition to high school. I was speaking of the student’s outstanding vocabulary knowledge and ability to apply it. “This will serve her well in high school English classes,” I said. Her mother said something to the effect of, “Yes, but she can’t take care of her own basic physical needs without help.” “That may be,” I replied, “but her needs in one area do not erase her strengths in another.” “Really?” her mother asked. “Really, will people be able to see those capabilities or will they be unable to get past the things she can’t do?” Since then, I’ve really been thinking about this concept. I agree completely that the language and approach of special education is in desperate need of change. Deficit thinking and labeling and subsequent grouping and segregating is so defeating for students and their families. Our own family experienced a tremendous shift in thinking when we replaced our local early intervention program (deficit model) with a strength-based program in the area. What a burden lifted! We were encouraged to focus on activities our very young son enjoyed doing and making sure he got a chance to be engaged in those things often. Through that engagement, we were assured, he would develop skills that were important to him. He was not assigned a “developmental age”, we were not told that he needed to “catch up”, nor were arbitrary benchmarks goals set. Very different from the “therapy” we had been experiencing. Had I not been immersed in both approaches myself, I’m not sure I would understand how deeply this paradigm shift we are discussing here affects those involved. Nothing short of revolutionary. Wonderful article! As a special education teacher and a parent of a child with down syndrome the article hit home. I loved the flower reference. I once had a teacher say to me those are your students they don’t belong in my 4th grade class. So as much as things change some factors remain the same. It is important for educators to honor the strengths and capabilities of all students. It is their responsibility to provide opportunities for students to engage in lessons and activities that allow them to further develop their strengths. In order for this to fully happen in schools, however, there needs to be some major changes in state mandated assessments. Teachers are often judged based on their student performance, which in too many cases, leaves them feeling they have to teach to the test. What gets lost is the student individuality in both how and what they learn, and how they demonstrate their learning. I would like to thank you for making me reflect upon questions i’ve been asking myself during my present experience as an inclusive educator. Your article is so interesting and makes really sense because we are all different from each other. If we should have to focus on the negative things we pertain, than everyone has one form or another of disabilty! If we embrace difference than we accept the fact that we are all neurological variable. From my experience although students are labelled ADHD, autistic or under several terms, still, no one ADHD child is like the other or no one child with Down Syndrome is like the other so in my opinion it is pointless like you wrote that we keep labelling people and invent new terms to categorize them. It makes more sense to work upon new ways to address specific needs that in the end everyone has even you and I !! Thanks for sharing your perspective, Donatella! Dear Janet, thanks so much for sharing this uplifting story! Don’t understand neurodiversity, but do know that children all learn differently. Once again, don’t fully understand neurodiversity, but I do know how to diversify learning. This is great information on how diverse and amazing our brains are. As a special education teacher, I work on getting to know my students and how to best help them. This article is helpful to me because I can better understand my students’ abilities and how to capitalize on those.